PiPO is a Chinese manufacturer specialized in low-cost Android tablets mostly based on Rockchip System–on–Chip. With the PiPO W1, they are just releasing their first Windows 8.1 based 10.1" tablet running on an Intel Atom Z3740D (Bay Trail-T) quad-core processor. This model has similar specifications to the Dell Venue 8 pro where PiPO has added in the W1 a large 64 GB flash memory storage space and a detachable keyboard. 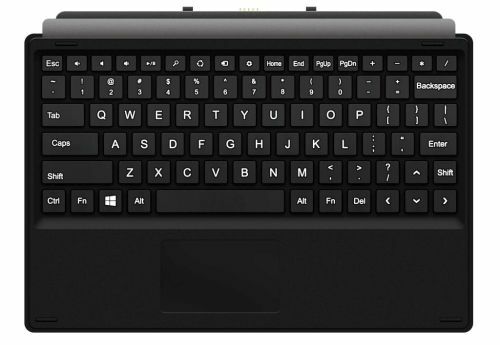 The PiPO W1 is equipped with a detachable keyboard that looks quite similar to the Microsoft Surface tablets. There are likely some magnets on the metal connectors to make it easy attaching the keyboard. Like other Bay Trail-T based tablets, the PiPO W1 runs on Windows 8.1 (32-bit). According to PiPO the tablet ships with Office Home and Student 2013: Word 2013, Excel 2013, PowerPoint 2013 and OneNote 2013. Currently no Bay Trail based devices are available on Android, but these processors may allow to run the Google O/S and it seems Intel has such plans for Q2 2014. Still, it is unknown at the moment if the W1 will eventually offer native Android support together with a Win 8.1 / Android dual boot. The Intel Atom Z3740D part of the Bay Trail-T platform is running at 1.33 GHz up to 1.86 GHz in burst mode, the GPU part of the processor called "Intel HD Graphics" is based on the Intel Gen7 architecture offering only 4 Execution Units (EU) running at a maximum speed of 688 MHz. With a processor manufactured using 22nm process technology, the W1 is expected to offer a decent battery life from 8 to 12 hours. It is interesting to see Chinese manufacturers such as PiPO investing the Windows based tablets. 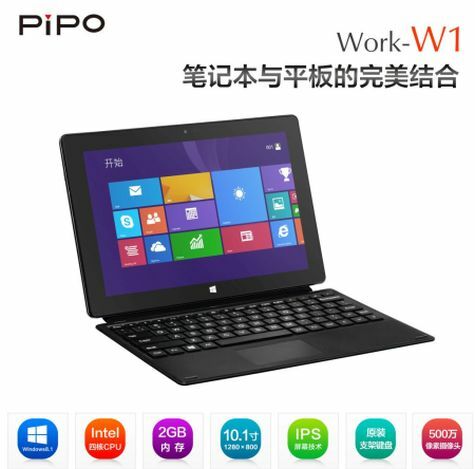 PiPO W1 with its folding keyboard is definitely oriented for work related activity. 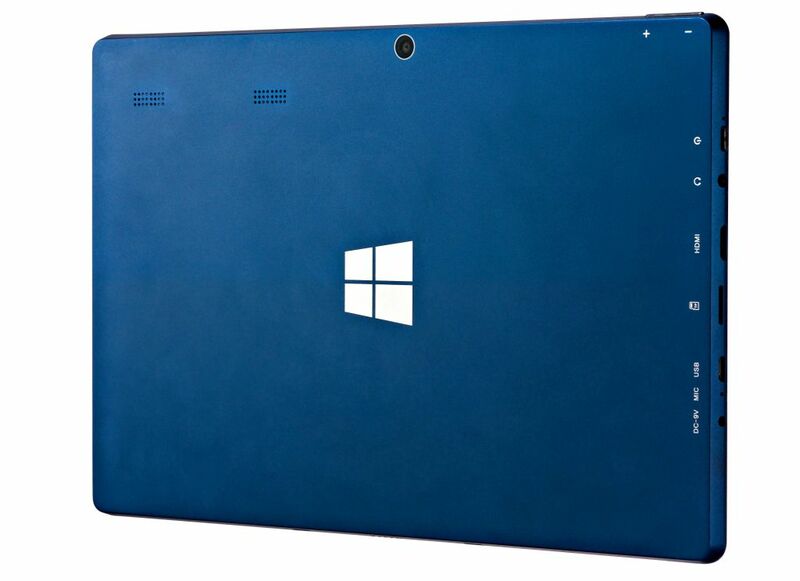 The W1 performance looks acceptable for an entry level Windows 8.1 tablet, even if it does not offer a particularly high definition display and lacks GPS support, it still looks to offer an a fully complete model for those willing to switch from Android to a Windows 8.1 tablet. There is no exact word on the PiPO W1 availability and price from the manufacturer, it will hopefully be priced to compete with similar devices such as the Dell Venue 8 pro that sells at $319 in 64 Gb storage configuration. We can expect to see the PiPO W1 tablet in the $300-$400 range hopefully to hit the market in the next two months. I saw this W1 in Pipomall.com. The looks is good, CPU also very good. If windows is 64 Bits will be more perfect. I have to budget for a purchase of ONDA V975m this Quarter , anyway just bought a LENOVO Win8.1Pro Laptop i3 at about the same time the article on W1 came out I like to collect techie stuff and my Mrs is furious that I tinker too much on these things ,flashing reflashing, upgrades and things falling apart, her missing contact numbers(luckily it is a LENOVO) and did managed to backup her phone contacts on LENOVOs server , err somewhere in China. This is the season for my household to change to LENOVO's from our previous DELL except for phones she was on BLackBerry and told her to dump it. It is the Flash Tool for American Megatrends BIOS chips. Just open it, then click the save button, name the file AMIBOOT and wait for it to finish dumping the BIOS. Then send the image file to me. This would save the life of one of these sweet tabs. Any PIPO WS1 discussion? I have one with Win10 and Android. At the momment only have chinese documentation. Because some problems with touchscreen issues, i tried made a fresh installation of Win10, but it does a non stop booting. But with Android is all ok. What could i do? Many thanks. Did you ever get your Win 10 issues worked out? Sorry I cannot help, but wanted to join because I just got a W1S with Win 10 and Android 5.1. My son uses it more, since I got the Cube version with similar specs, the iWork10 with keyboard. It will be interesting to compare them. My son complains about the touchpad either being laggy or too sensitive. No touchscreen or Win 10 problems but as you say, it is all in Chinese; it does seem that the Windows on the Pipo seems more tablet-like; I think it wants to run MS 365 instead of full MS Office. The version on my Cube seems to offer desktop interface without prodding. You might check with smart-accessories.uk, who says they put the firmware into Engish on the tablets they sell. Good luck.